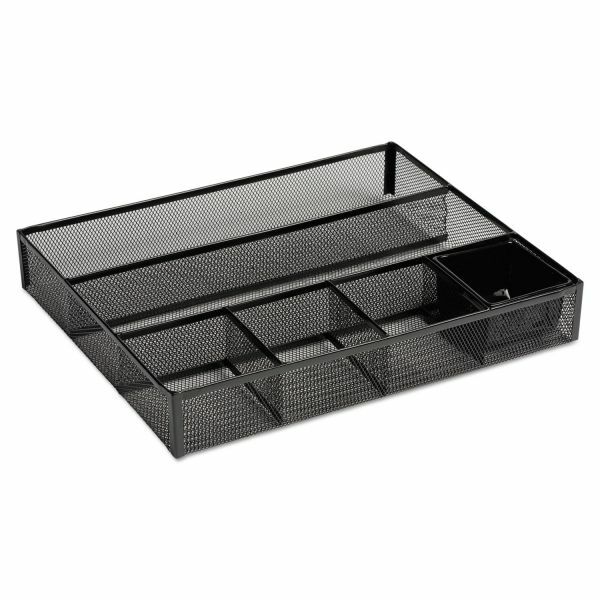 Rolodex Deep Desk Drawer Organizer, Metal Mesh, Black - Mesh desk organizer is designed for use in deep drawers. 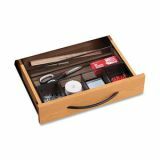 Use two long compartments for rulers, pencils and other items, and four small compartments for paper clips, binder clips, change and other small essentials. Organizer is made of steel. 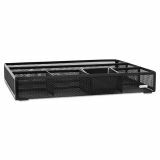 Unique rolled mesh criss-cross design gives your work space a curb appeal all its own.